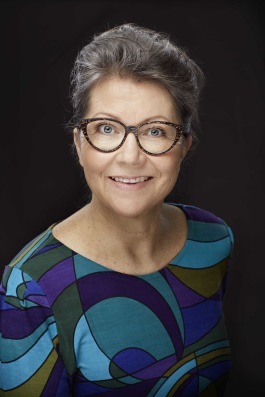 Why did Birgitta Möller become a professional resume writer? Five weeks before I was due to return from parental leave, my manager called and told me that I would lose my job due to a shortage of work. Even though I had survived two rounds of layoffs and a time that sometimes felt like ‘musical chairs,’ it was a shock to lose my job. How would I, a fairly new parent, find a new job? I was eventually hired to work as a consultant at a global telecom company with offices in Copenhagen, Denmark. Although I was happy with the work, a few years later I decided to apply for a new job in Sweden. This time, I was employed by a global company in Lund. A few years later, I went to work for a small Swedish start-up company. We moved into renovated new premises and worked there for three weeks before the owners closed down the company. Suddenly I was out of work, again. What would I do this time? Over the years, colleagues and friends had asked me to help them review their job applications, and I really enjoyed it. This gave me the idea to start working as a professional resume writer (CV expert). Why not utilize what I learned from successfully changing careers twice, writing numerous applications (resumes/CVs and cover letters), securing many job interviews, and helping others with their applications? My very first CV customer got selected for an interview despite stiff competition from 500+ applicants for a single job opening. My second customer was hired because of the resume/CV and cover letter I wrote. Today, many years have passed since I started my company, CVhjälpen and since then I must have written 300 + CVs, LinkedIn profiles, consultant CVs, and cover letters for customers both in Sweden and around the world. It may sound like a cliché, but it's such a joy, to be able to make a difference, every week, in people's lives. In addition to working for companies ranging from small startups to large global companies where I had daily contact with colleagues in China, USA, Finland, Denmark, and many other countries, I have also spent almost five years abroad in Canada, Denmark, USA, and Australia. Today, I work online with clients all over the world, helping them with what I am the best at, writing professional resumes and cover letters in both Swedish and English that set them apart from the competition, give them a competitive edge, and position them to win.